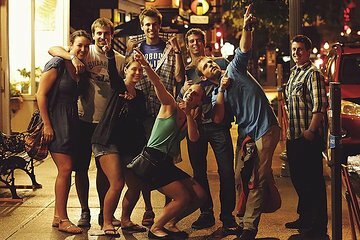 When in Quebec, hit the town on this pub crawl and enjoy an epic night out. Meet new friends from all over the world and follow an in-the-know guide to three bars and one of the city’s most famous nightclubs. Sidle into the hotspots without worrying about cover charges and enjoy free drinks. This wallet-friendly tour is available on Friday and Saturday nights, year-round. Great tour. Tour guide was great. Had a great time, and met great people. I would do this event again. Our Pub crawl was the highlight of our trip. Lots of laughs, would highly recommend this to all who visit Quebec City. Music was good and the beer was nice and cold. Did not happened as not enough people. But we were kept in contact all the time with the guide.. It was nice . We had such an AWESOME time. I will recommend this to anyone who wants to meet new people and party!!!! We had so much fun and we had a great group and awesome tour guide, X.